Spotify is a Swedish music streaming site that was established in 2008. Spotify lets you listen to music freely but to enjoy unlimited streaming of music you need to subscribe to Spotify premium. With Spotify Premium, you can shuffle music, listen to music offline, play any song without any ads. To get Spotify premium, you have to pay 9.99 Euros a month. If you don’t want to spend that amount you can use Spotify premium codes. 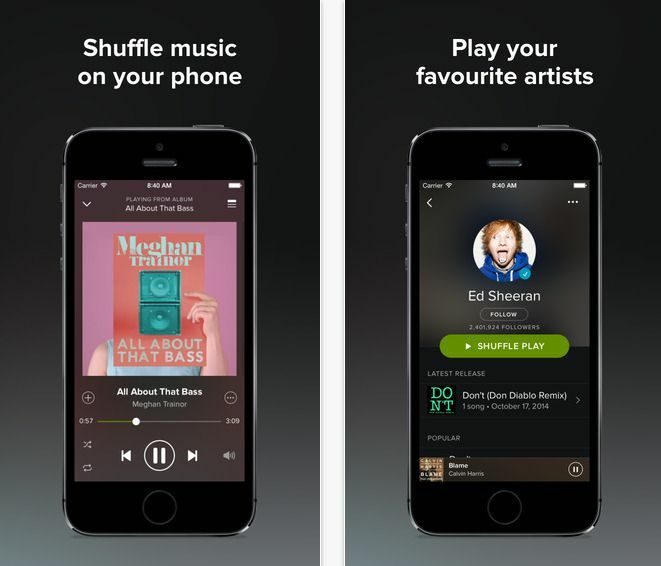 In this article we'll introduce you top 10 sites that you can get Spotify premium free on iPhone. On this site, you can get Spotify Premium for free by downloading the code generator. You can generate code that lasts for a month, three months, six months or one year. With this code generator, you will generate codes faster upon request. 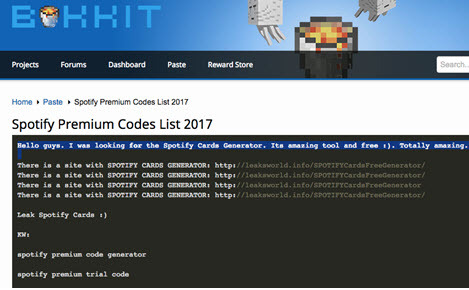 This premium code generator is ideal for iPhone users, and you can generate Spotify premium codes for twelve months, six months and three months. 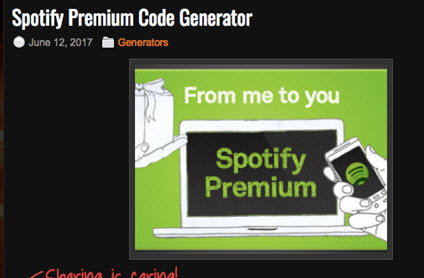 On Spotify Code Premium Generator lets you generate up to 10 premiums in a day. This website claims to offer Spotify discount codes and codes. 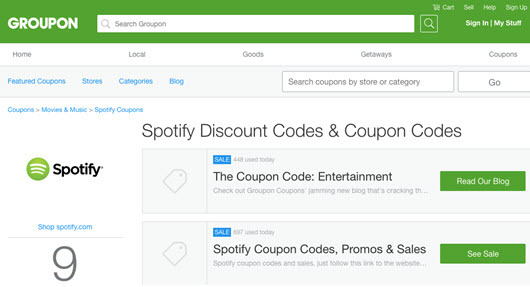 You can filter promo codes by sales, in-store offers and promo codes. You can also subscribe to get a weekly notification of the available promo codes. Groupon has a mobile app that you can install it on your phone. There is also Free Gift Code Generator that claims to give different Spotify premium codes. It offers Spotify premium gift code for three months, six months and twelve months. Other than Spotify premium codes, you will also get gift codes for GameTwist, Amazon, Xbox, eBay, iTunes, Google Play and much more. 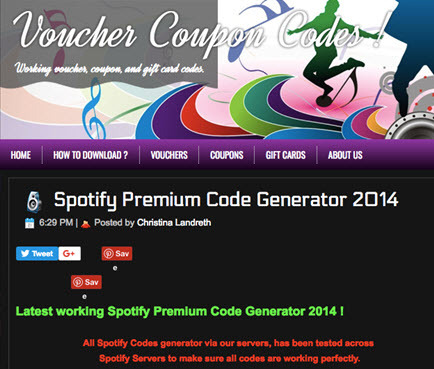 You can also get free Spotify premium codes on Voucher Coupon codes website. According to this website, you will get free codes for a month, three months, six months and twelve months. 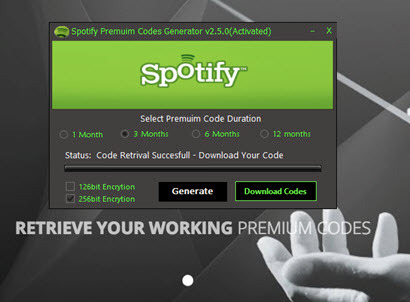 Once you have downloaded this free code generator, you will get Spotify premium freely. This is another website that allows you to generate free Spotify premium codes so that you can play Spotify music without ads and shuffle them. You can easily access this site and generate codes. The code validity ranges from 1 month to one year. Moreover, you can redeem your code. On RetailMeNot, you will get gift cards, coupons and codes for Spotify, Amazon, Netflix and Hulu. This website is user-friendly, and you can quickly sort offers according to coupon type, discount type, category and purchase location. The structure of this website is a bit different from the previous free Spotify premium generators. On this website, you will get free Spotify premium codes list. You just have its interface and select the preferred and working Spotify premium code. DealCatcher website is a free and easy to use website that offers Spotify premium codes and coupons. You can sort the coupons and codes and view them. 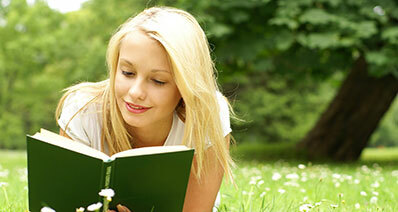 A good thing about Dealcatcher is the availability of different codes and coupons to choose. 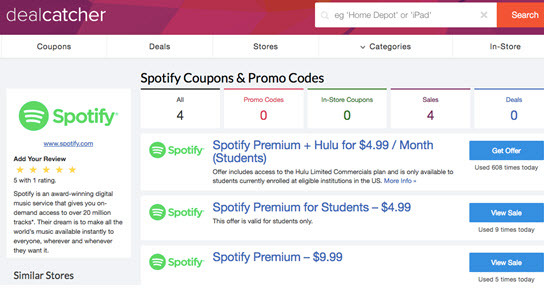 Lastly, there is Dealplus website that claims to offer Spotify premium codes. To get the code from Dealplus you have to visit the website several times and it will generate Spotify premium code. 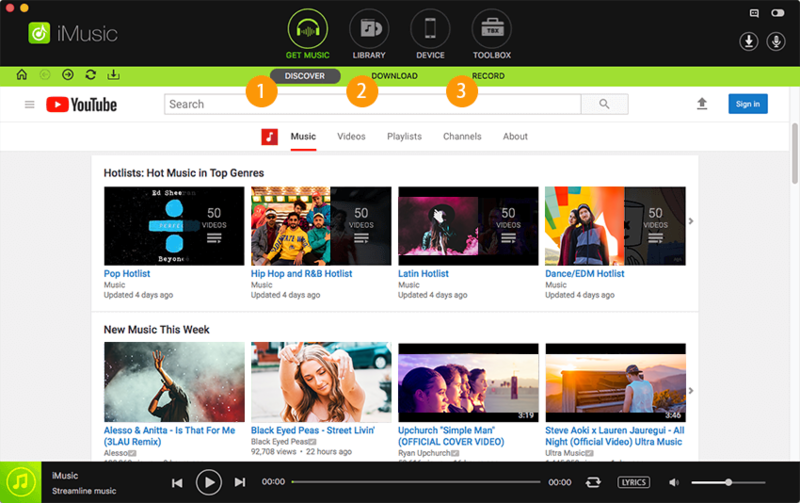 Here are 10 apps that you can install and use them to download Spotify Music. Spotify app by Spotify allows you to listen to music, shuffle, and create a playlist on your iPhone, iPad or iPod. This app lets you have direct access to Spotify premium once you have subscribed to it. The only problem with the free subscription is that it has limitations. 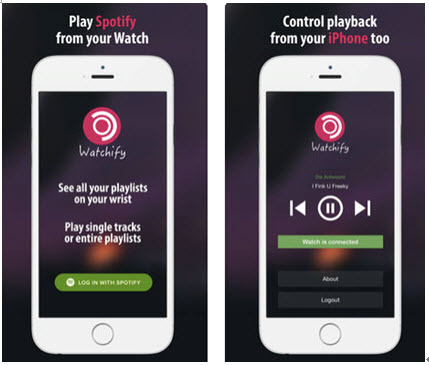 Watchify app also lets you gain access to your Spotify premium account and stream music. 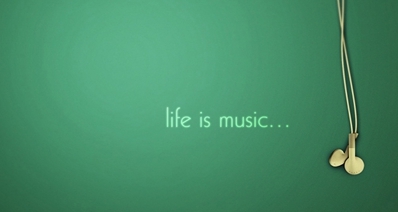 You can also browse songs and playlists easily. As you play Spotify music on this app, you can skip and pause songs without being interrupted by ads. Watchify has few features and a few playback controls. You can also use Spotify EQLZR to search for Spotify music, play, and download them to your iPhone. On this app, you will get all your Spotify Playlist, play popular songs and also upload your Spotify playlist. However, the interface of this app is complicated to first-time users, and you may not find lyrics as described. Shazam for iPhone is also another app that it can allow you to explore Spotify Music, add songs to Spotify playlist and download them. 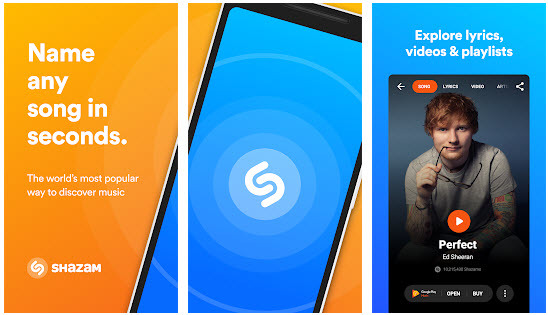 Shazam can also find the title of any song within seconds although it has ads. You can also get this app and explore your Spotify music playlist, search for top songs and search for the songs from your favourite artists. It also integrated with Apple music thus you can stream Apple music. A downside of this app is that it does not work well with iOS 11. 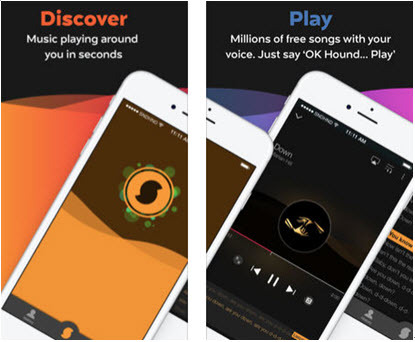 Another app that allows you to stream and download Spotify music is SounHound. 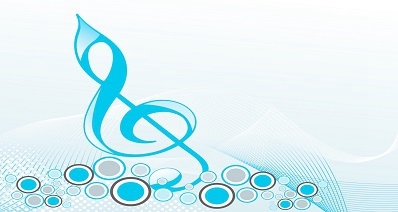 This app lets you discover songs by searching or humming the song. 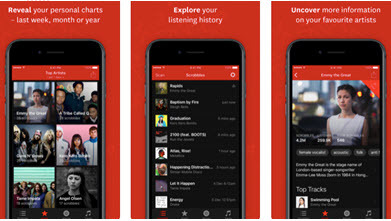 You can easily navigate through the app and get your favourite song. The downside of SoundHound is that it may fail to connect to Spotify as expected. There is also Musicmatch Lyrics Finder that not only lets you connect to Spotify music but also Apple music. 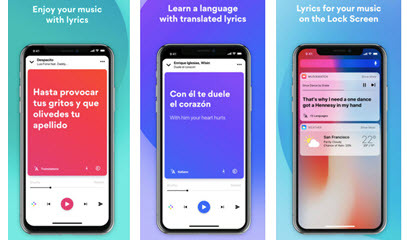 With this app, you can get songs and lyrics in different languages. 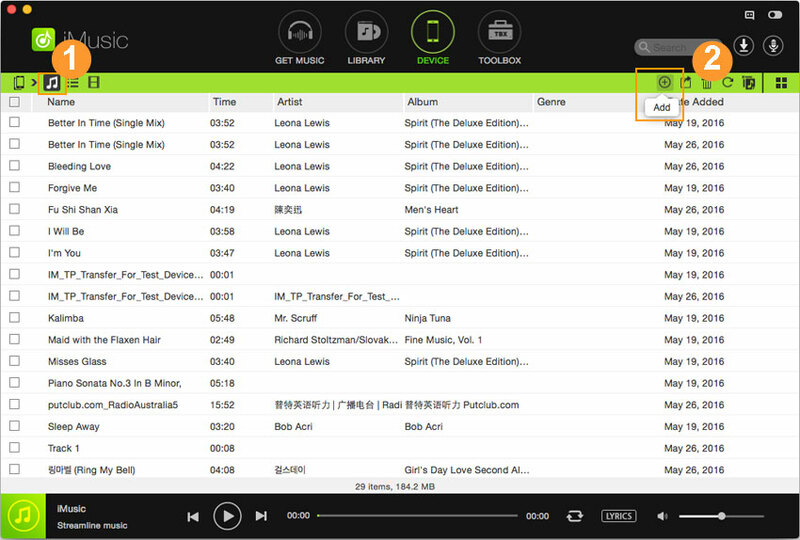 You can also share your music with friends and synchronize your music playlist. The downside of this app is that it is more of lyrics finder than music downloader. 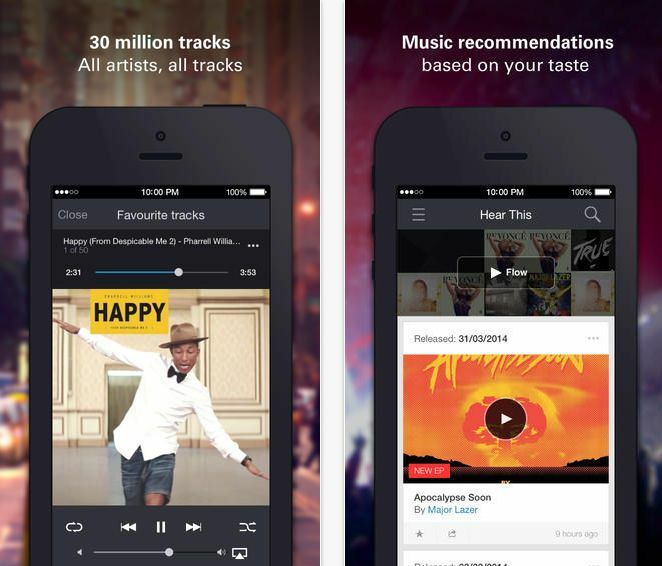 With Deezer music app you will be able to stream different music channels and radio stations. Deezer is a user-friendly app that allows you to customize flow and playlist. Other than that you can also find the lyrics of the song you are streaming. The disadvantage of this website is that to upgrade to remove ads and play unlimited songs. 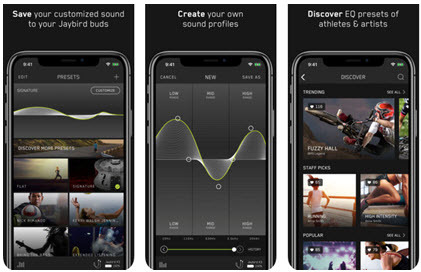 Jaybird music app also allows you to explore Spotify music playlist other than letting you customize EQ settings. 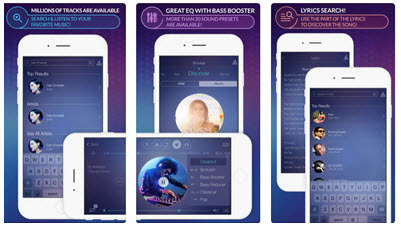 You can also create EQ setting sounds and discover EQ settings. A downside of this app is that it has limited music library compared to other music apps. With Stamp Transfer music app you can download Spotify music by importing them to other music sites or saving them as CSV file. 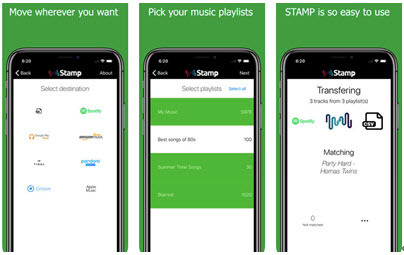 Stamp Transfer music app also supports other music sites such as Apple music, Pandora, Google music, YouTube and Amazon and others. 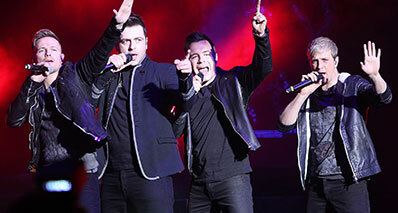 The disadvantage of this site is that the imported songs may fail to play. If you do not want to use online free Spotify generators then you can use the best Spotify downloader iMusic Spotify Downloader. This music downloader pro software is a music downloader that supports over 3000 sites including Spotify, Pandora, SoundCloud and others. Looking at its user-interface, it is simple and fast owing it to mass users. The iMusic software also has other features mentioned below. 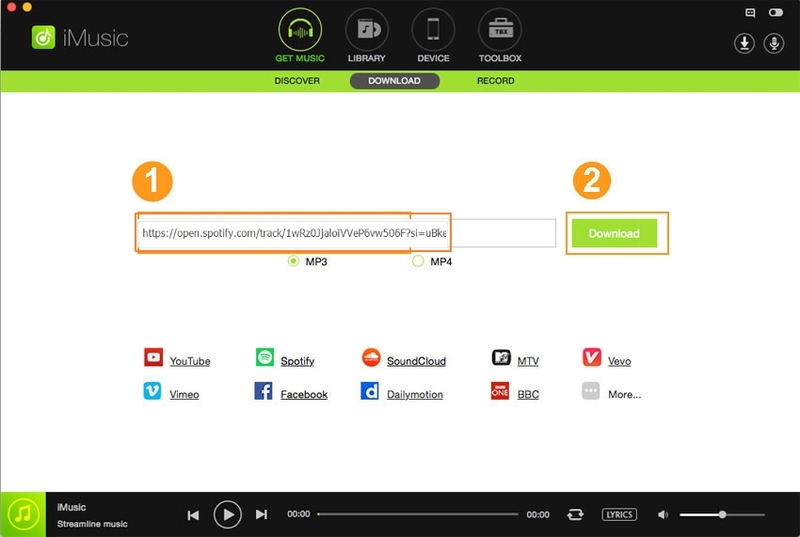 Music Downloader Pro - discover and download music from Spotify and other 3000 hot music sites. Music Recorder - recorded videos and audios from any desired supported site and save them on your computer. Inbuilt Music Library - iMusic has an inbuilt music library that you can discover music according to top charts, genres and artist. Transfer Tool - media transfer tool that allows you to transfer music from computer to mobile device and from mobile device to computer. Fix iTunes Library - mend missing tags, add music covers, clean broken songs and remove duplicate music. Open iMusic and click on “GET MUSIC” and then select “Download” icon, then click on Spotify link and then search for the music on Spotify. Once you have found the music on Spotify, click on output format and hit “Download” button and the song will be downloaded immediately. Connect your iPhone to the program with a USB cable and click on “Devices”, click on music button at the top and you will a list of music files. Move to the right side and click on “Add Files”. Select the downloaded Spotify music and click on “Open with” to add the songs to your iPhone.